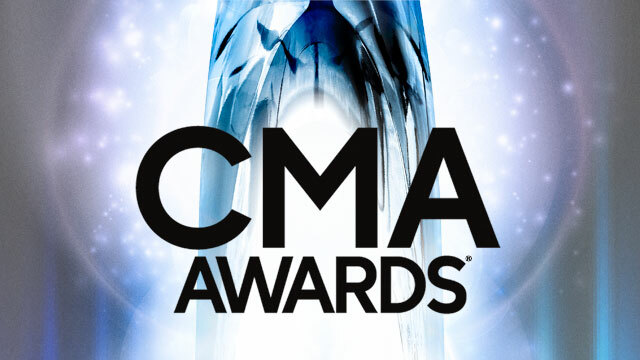 Last night saw the 48th annual CMA Awards broadcast live from Nashville. Read on for my recap of the show. The show became Miranda Lambert's night as she walked away with four wins. Miranda's win in the Female Vocalist category also takes her past Martina McBride and Reba McEntire giving her the most Female Vocalist wins (five) as well as the longest winning streak (five years). Blake Shelton's fifth Male Vocalist win now sees him tied with Vince Gill for the most wins in the category. There were also two artists who took home their first CMA Awards, Brett Eldredge and Luke Bryan. Brett Eldredge's New Artist win received by far the most response on social networks with fans, contemporaries and press alike all passing on their congratulations and happiness. Luke surprised many people to take Entertainer Of The Year up against a very tough category - George Strait, Blake Shelton, Miranda Lambert and Keith Urban making up the rest of the category. Two stars were visibly starstruck during the award part of the show, Connie Britton and Luke Bryan. Connie seemed thrilled to be presenting an award with Martina McBride and her emotions came across as very genuine which was sweet. After being presented the biggest award of the night by Garth Brooks, Luke Bryan turned and said "I've never actually met Garth Brooks, hi Garth" and then asked for a hug which was again very sweet. Luke's was also one of the best acceptance speeches of the night, thanking the front row (artists such as Tim McGraw, Faith Hill, George Strait and Martina McBride) for inspiring him and letting him open their shows and watch how they performed. He was visibly emotional, as was his wife. Upon accepting the Irving Waugh Award (only the second artist ever to do so, Johnny Cash being the first) Vince Gill was also visibly emotional and had tears in his eyes. He also gave another great speech, commenting on the comradery between the 'new generation' of artists and that it was great to see. It is also definitely worth mentioning that Little Big Town went straight to Vince Gill after their name was announced as winners of Vocal Group Of The Year, something that was very touching. Cole Swindell linked to CMA Radio Stations Of The Year during his short performance and Thomas Rhett linked to CMA Broadcast Awards during his. There certainly seemed to be a lot more performances this year, with only three awards being announced in the first hour of the show. There were also a lot of collaborations. Meghan Trainor and Miranda Lambert where the first of two country pop collaborations - as an overall track it worked surprisingly well, Miranda blended in a bit with Meghan which didn't allow her to shine but make the overall track strangely work. Little Big Town took the other country pop collaboration alongside Ariana Grande. Whilst the performance was listed as a mash up between Day Drinking and Bang Bang Ariana only joined the quartet for Bang Bang allowing them to perform Day Drinking alone.The production around Day Drinking meant that Little Big Town could also bring a lot of drummers on to the stage (on two levels behind them) which also worked well as well as delivering their usual great vocal. Bang Bang however was different to Meghan and Miranda's duet in that Little Big Town were essentially providing backing vocals for Ariana so weren't able to truly shine but seemed a lot stronger as Ariana was slightly pitchy and singing uncomfortably high. Blake Shelton and Ashley Monroe's performance of his track Lonely Tonight was strong however Blake was stronger than Ashley throughout in my opinion. Smokin' And Drinkin' is set to be Miranda Lambert's new single and her performance alongside Little Big Town would have benefited from quieter production. In my opinion the chorus' were better than the verses however it was still a strong overall performance. As a Little Big Town fan it was nice to see them have two performance slots! George Strait and Eric Church's collaboration was very good. It was sweet to see that Eric was clearly starstruck to be singing with George and their voices blended surprising well. The Doobie Brothers performed twice, closing the show with Taking It To The Streets. Of their two performances I felt Listen To The Music was the best and that Jennifer Nettles really stood out. She seemed completely comfortable and the whole production gave her room to slip nicely into with it's Sugarland like feel. There were also some strong solo performances, the highlights being Florida Georgia Line's Dirt, The Band Perry's Gentle On My Mind, Kenny Chesney's American Kids and - having never really listened to Luke Bryan's music - I was pleasantly surprised by his performance of Roller Coaster. I would however have to say that Lady Antebellum gave my least favourite performance of the night. Bartender is a great track however they sounded uncomfortable and strained throughout the majority of the performance. There were also a lot of standing ovations from the audience for various performances throughout the night. Brad and Carrie impressed fans, critics and their contemporaries and I hope they will be back to host next year's show! So there you have it! A great night squeezed full of performances and some very worthy winners!